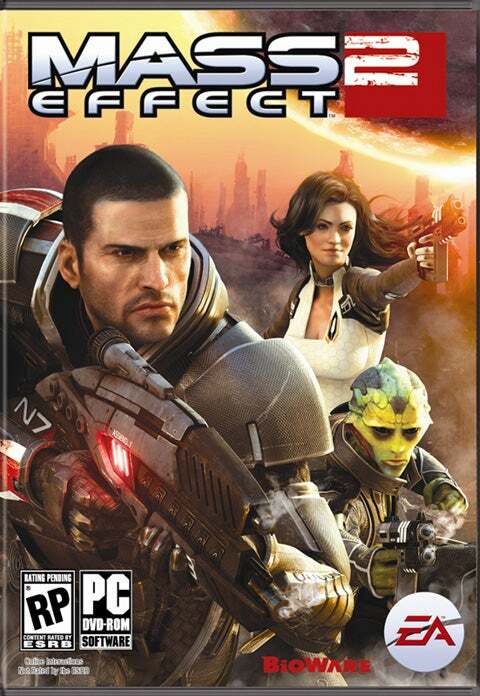 The original Mass Effect was a pleasant little surprise of a game. It was a lot better than it initially looked, and it had a nice RPG/shooter fusion that made it less uncomfortable for someone like me, who hasn’t really played shooters and doesn’t necessarily feel comfortable with them. The main problem with the game was that, unlike Bioware’s other major series, Dragon Age, it didn’t have that great of characters. Even if they were great, they weren’t explored that much. So along came Mass Effect 2. How does the game begin? Commander Shepherd, the playable character, dies. That’s right, he dies. He’s killed when the Normandy is attacked by some mysterious giant ship with a massive laser while out on a mission. But the mysterious human organization from the first game, Cerberus, and its leader, the Illusive Man, decides that Shepherd is too valuable to the galaxy, and more importantly, humanity, to die. So they gather up what meat is left of him, and they bring him back to life. Two years later, Shepherd awakens when the space station he is on is under attack. He meets two Cerberus operatives, Jacob Taylor and Miranda Lawson, and after they stop the attack, they meet the Illusive Man. The Illusive Man wants Shepherd to continue his mission against the Reapers, and he believes that the disappearances of many human colonies may be related. So Shepherd has to go investigate these disappearances and how they relate to the Reaper threat while gathering a team that can take on the Collectors, the mysterious aliens behind the disappearances. He makes all sorts of new friends and meets the survivors from his old crew, bringing back Joker, Dr. Chakwas, Garrus Vakarian, and Tali’Zorah vas Neema (later vas Normandy) and adding new team members Grunt, Mordin Solus, Thane Krios, Jack, Samara, and Legion (and potentially Morinth, Zaeed Massani, and Kasumi Goto, depending on DLCs and in-game decisions). And, as with before, the fate of the galaxy hangs in the balance. Well, Bioware fixed the main problem with Mass Effect. Mass Effect 2 has an absolutely superb cast of characters, some of whom are as interesting as the best party members of Dragon Age: Origins. The result is that less interesting characters (Grunt, Jacob, Zaeed) stand out. But characters like Miranda, Legion, Samara, Jack, Thane, Mordin, and Kasumi are awesome. I wouldn’t know about Morinth, since I never chose to get her. But they’re a great cast, many of whom are really nuanced in their feelings and their interpretations of right and wrong (Mordin). Plus, there are more romantic options, and the romances can be adorable. The major character problem is that Mark Meer, the voice actor for male Shepherd, makes sad or romantic situations awkward and annoying. Plus, for some reason, the writers came up with some pretty silly dialogue for him. So that can worsen some of the best, sweetest moments. But he’s actually the weakest character. Of course, female Shepherd, voiced by veteran voice actress Jennifer Hale, is great. So long as you don’t pick the most butch option. Then she just sounds ridiculous. Not her fault. Anyway, the gameplay is even better than the first game. The battle menus are streamlined, and switching weapons is really easy. Plus, there are even more weapon options. You don’t need to worry constantly about buying up-to-date armor and those obnoxious customizable upgrades. You just get upgrades through finding bits of research on various worlds, then you research them with resources that you find. And finding resources doesn’t require that you run around in that stupid Mako on random, boring worlds. Instead, you survey them from orbit. It’s also a lot easier to have a lot of money, so you don’t have to worry about running out.